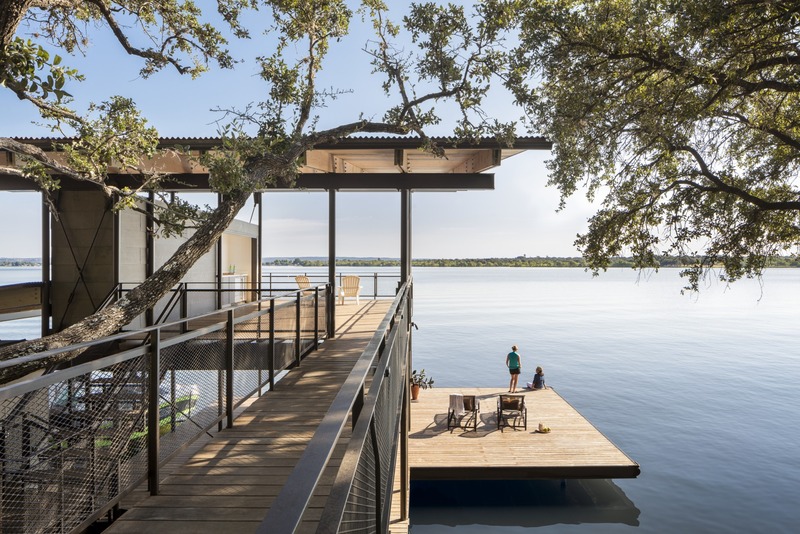 There is a familiar theme that is woven through the work of Lake|Flato, a San Antonio-based modern architectural firm and one of Architectural Digest’s 2016 AD100 this year: the environment. 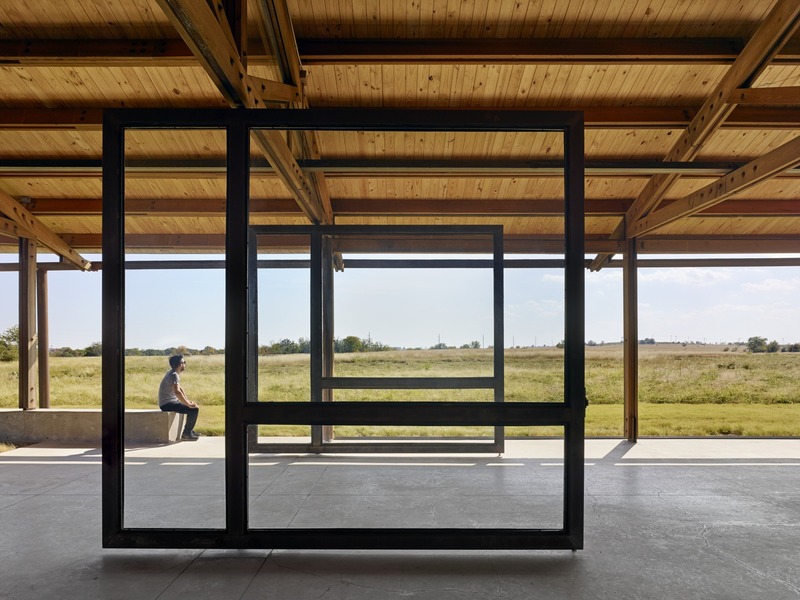 From the firm’s earliest beginnings, when founders David Lake and Ted Flato were building small ranch homes in out-of-the-way locations in Texas, they sought to explore their relationship to the land. It was “a natural reaction for the way David and I grew up, being enthusiastic about the outdoors,” said Flato. Thirty-five years—and 90 employees—later, that enthusiasm for both architecture and the land it sits upon has only grown alongside Lake|Flato’s reputation. 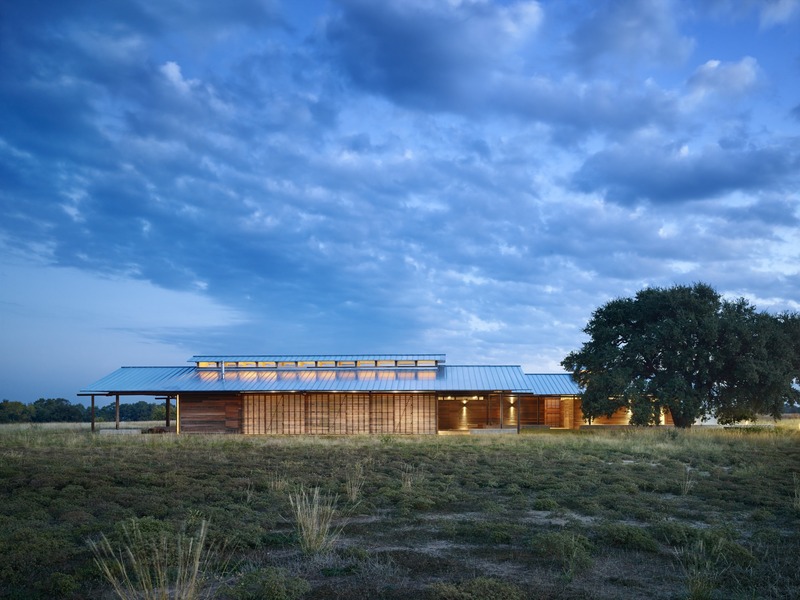 The sustainable architecture firm won the 2016 AIA Residential Architect Design Award for Hog Pen Creek Retreat, an Austin residence, and the 2016 Studio Award from the Texas Society of Architects for Confluence Park, a San Antonio park and natural classroom, just this year. 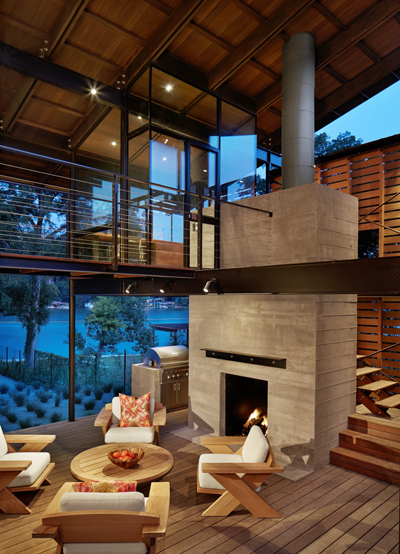 The residential and commercial architects responsible for projects including: Austin’s Hotel San Jose and the University of Austin’s Harry Ransom Center; San Antonio’s Pearl Brewery redevelopment and Briscoe Western Art Museum; Naples Botanical Garden Visitor Center in Florida; and the Blue Lake retreat in Marble Falls, has just expanded. 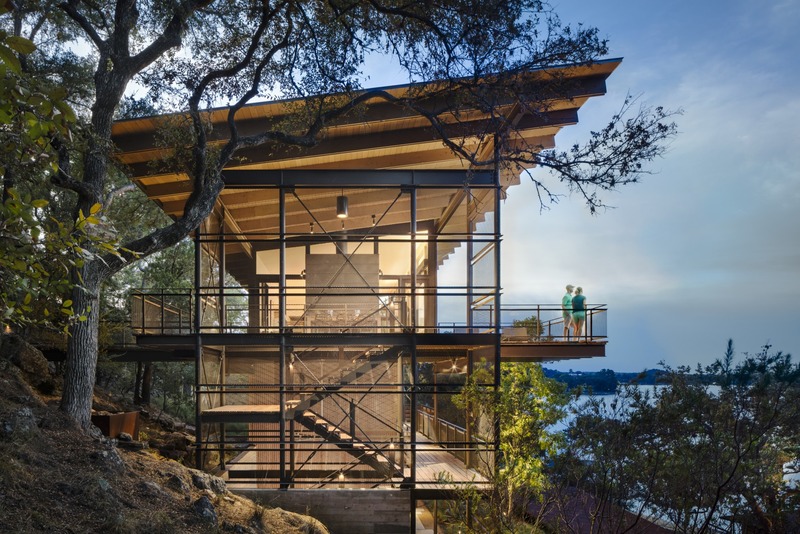 A second office in Austin means they can further grow their reach and continue their commitment to conservancy and efficiency wrapped in ingenuity, architectural integrity, and distinction. Previews® Inside Out talked to Flato about the driving force behind the firm’s commitment to energy efficiency, their modular home company, Porch House, and a few of their most influential projects. 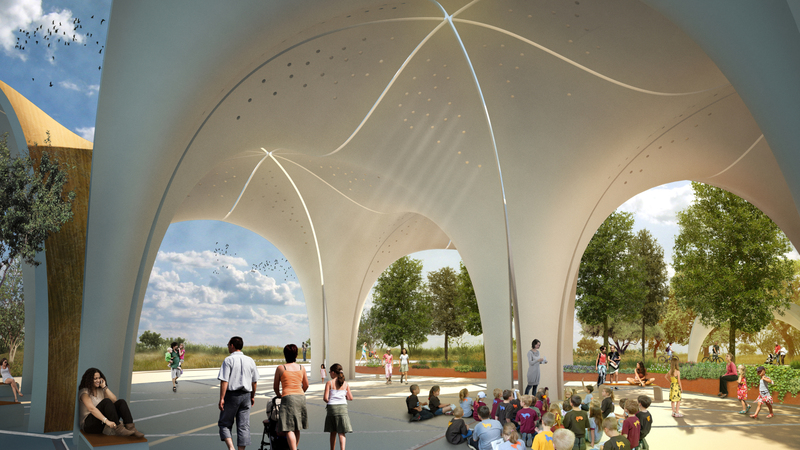 Previews Inside Out Lake|Flato has been described as creating place-based sustainable architecture. How does that tie in to your design philosophy and architectural vision? Ted Flato Our goal for projects has always been to connect with the environment—not just to build something that looked pretty, but that really worked and connected people to the environment. Our philosophy means working with the weather and materials that make sense for those places. Leveraging crafts and materials for a particular area because they’re efficient. Working with the landscape of a larger neighborhood. Previews Inside Out Did you start Lake|Flato with the express purpose of concentrating on the environment? Thirty-five years ago, sustainability wasn’t really a thing. Ted Flato When we got our first few projects, the clients wanted to have houses that were closely connected to their surroundings and allowed them to enjoy the outdoors. For us, it was just a natural way of approaching architecture. It was a combination of what we learned in college and also growing up in Texas, where we were always outdoors. Previews Inside Out How did the company’s growth first take shape? Ted Flato There was not a whole lot of work when we first started but the few projects we did have were interesting opportunities to build outside of the city, where people wanted to be a part of nature. Those early projects were new and fresh at the time, and they got some national attention. Before we knew it, we had opportunities to do more projects. We found ourselves in other landscapes, with more similar types of work, and also had opportunities to add more employees who were interested in accomplishing the same things. Previews Inside Out When people outside of Texas think of San Antonio, they might think of Mission-style architecture. Do you think the firm has been responsible for helping change perceptions? Ted Flato Perhaps. I like to think maybe we’ve played a role in popularizing the idea of making architecture connected to the place and doing work that resonates with you—not just doing architecture for stylistic reasons but also for more practical reasons. Previews Inside Out What can you tell us about your role in Architects Advocate, the initiative for climate change, and why is this issue so important to you? Ted Flato Buildings use an enormous amount of energy and resources. The DNA and the roots of the firm are about making architecture that makes sense—not just connecting with the environment but building smart and setting examples for how to build in an intelligent, energy-efficient, and sustainable manner. If architects like ourselves don’t do it, who will? Previews Inside Out How have your sustainable efforts grown over the years? Ted Flato We build the best and most thoughtful buildings we can. When we began 35 years ago, we would approach sustainability in an intuitive approach, giving thought to where the wind came from, where the natural light is, passive heating and cooling opportunities—with the main goal of leveraging the outdoors. As we’ve grown and had more opportunities, the scale of the projects has grown, and it has become more critical to apply as much science as we can to those projects. We now have sustainable engineers in house. 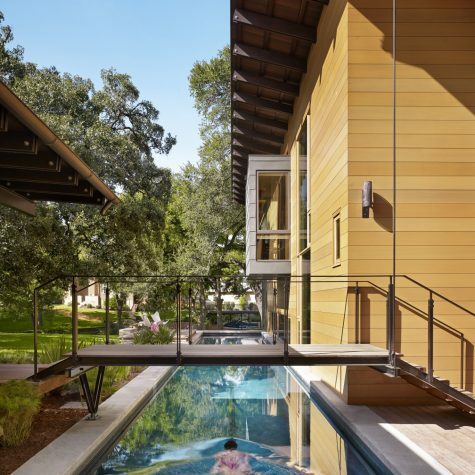 Previews Inside Out Are the majority of clients today looking for some level of sustainability—even in Texas? Ted Flato It’s become more and more popular over the last 10 years. Now, when we describe a building, we will also mention the sustainable aspects. It’s fun to be doing this kind of work in Texas, where it’s oil rich and you may not think people are concerned about conserving petroleum. But people get it here as well. They get the notion that these are all dwindling resources and they are aware the environment is fragile and we all have to do something about it. How much more they’re willing to spend to make that happen is a question, but it’s our job to come up with efficient and thoughtful ways to spend resources—energy as well as financial. 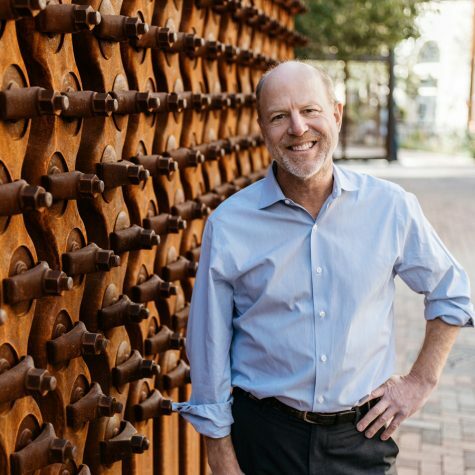 Previews Inside Out One of your newest projects is Driftwood, the eagerly awaited mixed-use development from Salt Lick barbecue owner Scott Roberts 30 minutes outside of Austin. How did this come about? Ted Flato We were invited to work on that project because of the type of work we’ve been doing, and we also grew up around great barbecue in the area, so there’s a personal connection. It’s a very thoughtful development in a beautiful part of Texas, and the idea of working with us is consistent with their approach. We’re working on the large-scale resort part of the project as well as some of the housing. We feel really lucky to be a part of this and to be working with great partners. People like Driftwood Group are thinking about how to set an example and how to be great stewards of the land. Previews Inside Out What can you tell us about Porch House, your modular home offshoot? Ted Flato Working on houses for the last 30+ years, we have come across consistent challenges, especially with those being built in more remote parts of the state and the west. 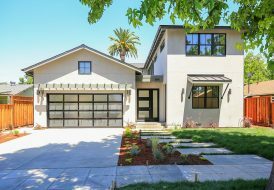 The idea behind Porch House was to both see if we could solve the challenges in a more efficient way and create a method of doing more affordable architecture to put good design in more people’s hands. The other influence was the economy. There was a bit of a lull in the real estate world and in the marketplace during the economic downturn. For architects, it was slow around 2000–2005. 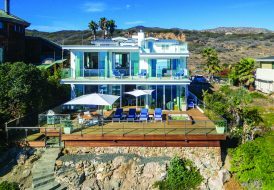 We have this exceptional team of architects, so it was a great opportunity to work on a project that addressed this notion of making remote locations more viable and solving this dilemma. 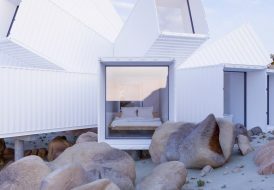 We came up with the idea of flexible designs that have a series of rooms that can be organized like building blocks and still create an interesting connection to the landscape. The connecting tissues are the porches, and they can be big, small, glass, open air. The rooms are smart, efficient, buttoned-up, and well-insulated, with six different room types that can be assembled in different ways and built on site. In our latest iterations, we’re working with Tree House, a sustainable hardware store that’s a combination of Whole Foods and Home Depot. They have beautifully curated sustainable products—solar, the most sustainable paints, the best LED light bulbs. We’re incorporating their products, and we will be featuring one of the Porch Houses in front of their new store in Dallas. Previews Inside Out What would you say have been some of your most influential projects? Ted Flato When I think of our favorite buildings, I tend to talk about the landscape first. I think, ultimately, what we do best as a firm is allow the environment to be a driver and let the building follow suit. 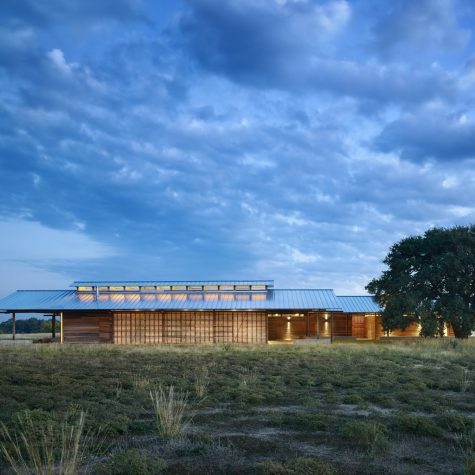 Shangri La Botanical Gardens and Nature Center (an AIA Top Ten) is on a 300-acre nature preserve in Orange, TX. It was about creating buildings that would connect the citizens of Orange to this beautiful part of east Texas that was a swampy, bayou type of area. The building is a great portal to this landscape. There was also a wonderful story of restoration of the landscape. We were striving to preserve an ornamental lake in the middle of this preserve that had become a bird sanctuary but also a very polluted, stagnant water pool. Incorporating new lungs for this oxygen-starved lake was just one element that helped Shangri La become the first LEED Platinum project in the Gulf area. Another building that has received a lot of attention over the past year is Josey Pavilion, a meeting and education center at the Dixon Water Foundation in Decatur. TX. The Wall Street Journal chose it as one of the four best buildings this year. (It also was honored with the prestigious 2016 American Architecture Award by The Chicago Athenaeum: Museum of Architecture and Design and The European Centre for Architecture Art Design and Urban Studies.) It’s out on a preserve on one of the last of the tall grass prairies outside of Dallas and Fort Worth. The foundation asked us about a sustainable building, and we suggested a living building, which has the highest requirements for energy efficiency. It’s quite difficult to achieve because of the set rules. The idea is that a building should not use any energy, but generate its own and capture and treat water. It leaves no footprint. You need to be especially thoughtful about where the materials come from, where the rainfall goes, the energy uses, where the waste goes. The finished building is highly sustainable and smart and also elegant and pretty in its simplicity.